For the outdoor recreational enthusiast–guided and instructional fly fishing trips and gear! Mountain apparel and footwear. Kayaks, hammocks, books, toys and mountain home decor. Montana Silver, Sandy Swallow artwork and locally made jewelry. Woolrich clothing. We are permitted for the entire Black Hills National Forest and Custer State Park. You can get your licenses for fishing and hunting, too. We are also permitted for access to Spring Creek, Deerfield Lake and areas in Custer State Park. 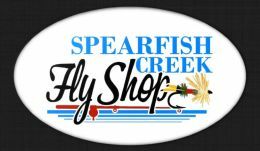 For a great experience and gear, some to the Mountain Store/Spearfish Creek Fly Fishing!